Branch office operations have reached a critical juncture. On one hand, IT is under pressure to deliver a new class of cloud-based applications to branch and remote sites; on the other, it must confront the added complexity that comes with accidental-architected network evolution, as well as the hidden risk to driving up total cost of ownership (TCO) of corporate WANs. 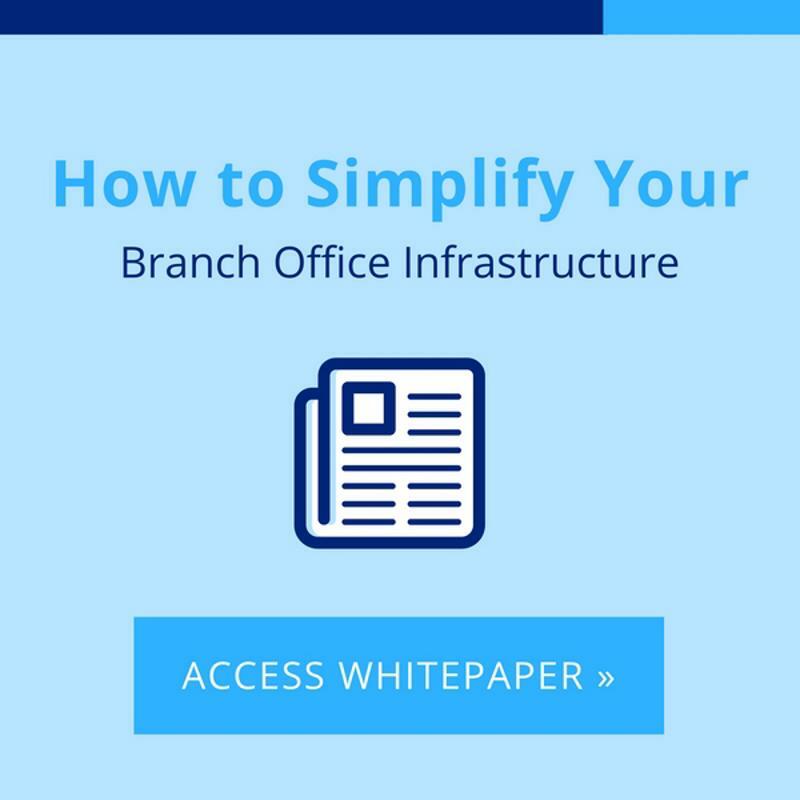 In other words, branch-office end users now have requirements that on-site technical personnel cannot always meet via traditional WAN architectures. Users expect on-demand access to cloud applications, necessitating a WAN capable of addressing common causes of congestion, such as inconsistent performance, costly over-provisioning and predominantly manual management processes. Ironically, the shift at branch offices to inexpensive public Internet links, which avoid the cost and performance penalties of backhauling via MPLS, has possibly made WANs more expensive and complex. The reason is device sprawl, with branches needing multiple layers of security built upon separate appliances for firewalling, VPN, WAN optimization and overhead. Plus, without the granular insight of a software defined WAN, it is not easy to delve into what all this over-provisioning actually represents or how it could be curbed to more sustainably scale the WAN. Many of these legacy WAN components are installed manually. Accordingly, they require a lot of time to configure and are also prone to human error, which Gartner’s Andrew Lerner has labeled “the undisputed No. 1 cause of network outages.” Proper setup and maintenance are difficult since on-site expertise is extremely limited at many organizations, and IT personnel budgets, which might help in hiring more staff and making upgrades, have been flat in recent years, according to a Spiceworks survey. These challenges make the case for SD-WANs that facilitate faster and more efficient overhauling of branch office networks. SD-WANs accelerate operational agility by simplifying branch infrastructure through zero-touch provisioning and consolidation of network functions through hybrid WANs that encompass virtualization and cloud. More specifically, SD-WANs reduce complexity, allow for effortless deployment and also support scalable and easy service chaining for easily exposing SD-WAN functionality as a service. To learn more about how an SD-WAN can facilitate branch office simplification, contact Talari directly or consult our many resources on SD-WAN advantages.